A new independent Insightrix Research online poll finds decided voters in Manitoba divided between Progressive Conservatives and Liberals. Approval rates and opinion on who would be the best premier shows the Progressive Conservatives ahead, but many are still undecided. In an online poll conducted by Insightrix Research, 731 respondents indicated their level of approval of political leaders in Manitoba, and who they believed the best premier would be. Based on anything respondents have seen, read or heard about the various leaders, Brian Pallister (PC) holds the highest approval rate (44%) followed by liberal Rana Bokhari (36%). 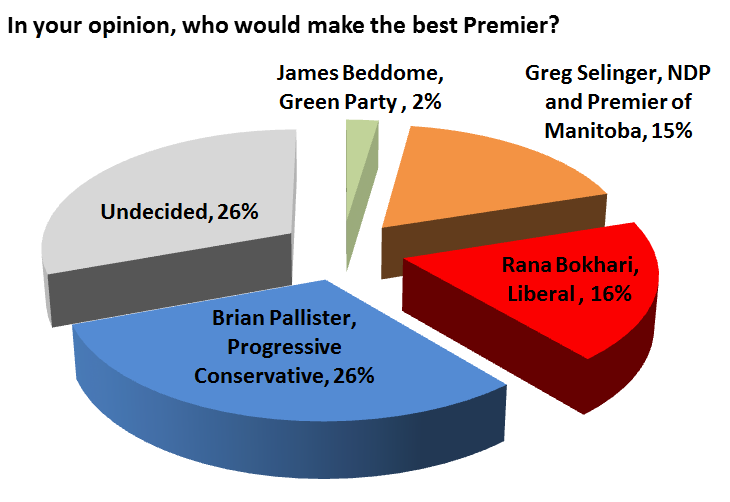 When asked who the best premier would be, Pallister once again came in first, with 26% of the online poll votes. Bokhari appears in second place with 16% of the votes, followed closely by current Manitoba premier Greg Sellinger (15%). Undecided voters, however, match Pallister at 26%. 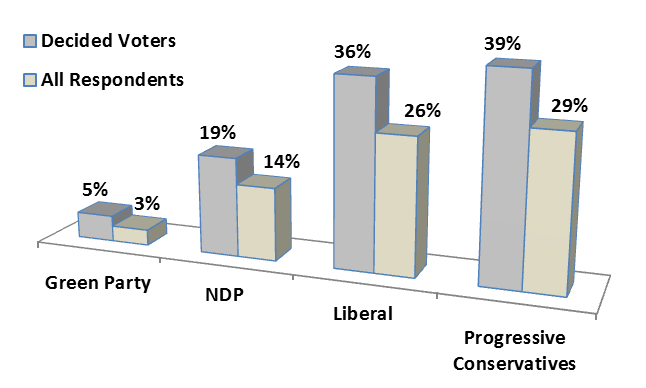 If a provincial election were held today, poll results show a diminished gap between Progressive Conservatives and Liberals, with Conservatives leading the poll over Liberals by 3 percentage points among both decided voters and among all respondents. A total of 731 randomly selected ManitobaWatch Research™ panel members participated in the online research study from December 17th to 22nd, 2015. Results were weighted by age, gender, and region to match the general population of the province. Since the research is conducted online, it is considered to be a non-probability proportion sample and therefore, margins of error are not applicable. Insightrix began developing its ManitobaWatch Research™ online market research panel in August 2014, using high-quality techniques including telephone recruitment, online advertisement and referrals from existing panel members. Presently, there are over 4,000 active panel members representing all regions of the province and distributions of the general population. For more information, please visit http://manitobawatch.ca.